If you were going to go into their office or their personal space and offer your product, service, your Self at the current price (what they get in return for your P, S, or yS) SHOULD THEY SAY “YES”? Are you worth FAR MORE THAN YOU ARE ASKING IN RETURN? 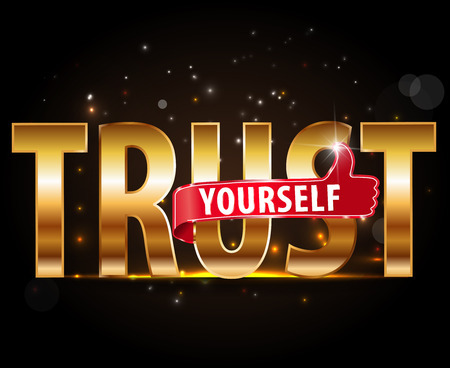 Do you trust your SELF? 100%? REALLY? If you say X will happen, does it happen 99% of the time (barring death and dire illness in the family)? Fact: The sociopath can gain trust quickly because they show very few signs of fear or concern. This can mimmick the honest, certain individual. So the person you are talking with can’t be sure they can trust you, but YOU MUST BE absolutely certain that when you say X they get X. You need their trust if you want them to buy from you. You need their trust to allow you to market to them. You need their trust or they won’t buy from you a second time. You need their trust or you can’t be above suspicion. You need their trust…now. You have seconds for their minds to open themselves to the possibility of trusting you. Most marketing, sales, and relationships rise or fall on trust. The bond of trust engenders loyalty and loyalty is the bankable commitment between two or more people. Trust is the certainty that they will always be there for you. Trust is the knowing that the other person will do right by you. They can put money in your hand and know it will be safe there. Credit card? Safe. Trust needs to be REAL TRUST. There aren’t many things in life I feel better about than hearing someone ask a question like that. 100% certainty. Someone who would count on you to catch them when they fall. That kind of trust has nothing to do with me telling someone how good of a person I am. It is all about reputation or evidence seen. That’s it. When you have that reputation…when you provide that evidence…you permanently carve in stone your name, your brand, your value. It’s remarkable how people who are completely honest and morally upright are often perceived as not telling the truth. I see this all the time with people, particularly with people who are generally introverted. Have you ever known someone you believe to be impeccably honest yet they can’t sell anything to someone else? They are unable to persuade or even have their position taken seriously. Why? They often don’t FEEL or BELIEVE themselves to be honest or doing the right thing. They aren’t CERTAIN they are giving more value than they are receiving in exchange. These people can’t wait to exit their business life each day so they can have a personal life where they feel authentic. Life, in general is largely about whatever you want it to be about. You can design and invent and reinvent your life, to your CHOICE, your business every day. I don’t have business friends and personal friends…I simply have friends. A lot of those friends are people I do “business” with. That means money changes hands for services or products. People who feel the compelling need to separate personal and business lives will find it difficult to sell, promote, and market…themselves…or anything. When people see that you like what you do…that you enjoy the process…. that you care about them…they begin to trust you. They begin to let their guard down, and rightfully so, because they don’t feel it needs to be UP. 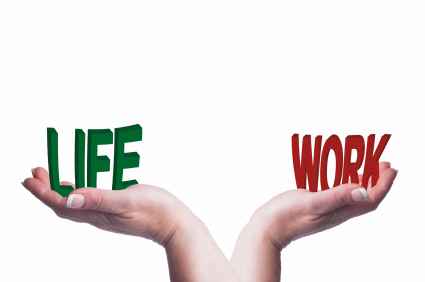 The distinction someone makes between a “business” and “personal” life and how personal congruence will either cause sales, persuasion and successful marketing, or not. Hating your job and dying to punch out at 5:00 creates a rather divided person. A person who will end up deeply in debt and eventually contribute to the long term insecurity of their family. They also tend to end up with addictions and other messy behaviors. Trust – Do You have to have Integrity to Have Trust?! The same factors that cause people to trust you quickly in the short term, if repeated, will build your Integrity and Personal Character. And this will help people to trust you over time. 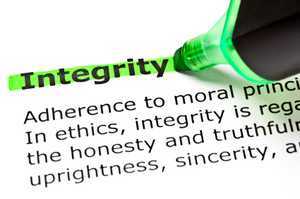 Integrity is a strict adherence to a moral or ethical code. Integrity means something is rock solid. Something that can’t be modified without authorization. It’s complete. The quality of being honest and truthful. A plane better have integrity when I’m flying on it. Your lawyer better have your best interest at heart when you do business with him. Your personal code, which defines who you are is on your shirtsleeve for people to see and they know that when they are with you, they will get the behaviors communicated in that code. THAT is integrity. You may or may not remember one of the more life changing episodes of the original cast Star Trek? 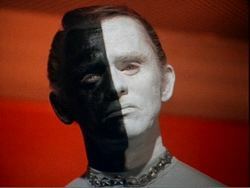 Frank Gorshin played two roles on the show. At the end of the show, you felt the stupidity of racism. You believed it. It helped change you and millions of other people. Every school could air this episode annually and change the lives of kids every single year. …you will do what you say you will do. You can be trusted. In other words, if someone runs for President, says they are going to bring the troops home, reduce spending and stop tax hikes…that’s what they will do. Personal Character is moral or ethical strength. Character is like temperature. It measures the strength of someone’s moral or ethical being. Just like you might say that your baby has a “temperature” you also might say someone has character. Trust happens because we are experienced as trustworthy in the moment. We have personal character in the moment. We have integrity in the moment. You take these moments and add them up in time and soon you have Integrity and Character. The result of habits, actions repeated over and over. Unconsciously we are forming habits every moment of our lives. Some are habits of a desirable nature; some are those of a most undesirable nature. Some, though not so bad in themselves, are exceedingly bad in their cumulative effects, and cause us at times much loss, much pain and anguish, while their opposites would, on the contrary, bring as much peace and joy, as well as a continually increasing personal power. Those unconscious habits are TOUGH to overcome when they aren’t so good. And EVERYONE has some unconscious (and conscious) habits that are not so good. You and I aren’t alone. Is habit-forming integrity, character building, a matter of mere chance; or is it within our own control? It can be either. You will have to CHOOSE to overcome what the nonconscious mind “does” and then begin to lay out the kind of person you want to be. After this has been bravely and determinedly said, and not only said, but fully inwardly realized, something yet remains. Something remains to be said regarding the great law underlying habit-forming, character building; for there is a simple, natural, and thoroughly scientific method that all should know. In this moment, you need someone to trust you right now…how’s that going to happen? Undesirable habits can be broken, and new, desirable, character building habits can be BUILT, a method whereby life in part or in its totality can be changed, provided one is dedicated to the process. How do people out there experience trust? The one nonconscious indicator of trust is being on time. Timeliness is the manifestation of the trait of dependability. People who are chronically late experienced as unreliable and untrustworthy. It generally requires being late once to cause uncertainty in another. Develop the habit of being on time, as scheduled. This isn’t a true equation but you could treat it as if it were true and build not only your business but improve all of your relationships. If your head is spinning about being on time, consider this. Whenever one does a certain thing in a certain way it is easier to do the same thing in the same way the next time, and still easier the next, and the next, and the next, until in time it comes to pass that no effort is required, or no effort worth speaking of; but on the opposite would require the effort. You have created a HABIT. Integrity and Character mean you do those same behaviors over and over again that your reputation, precedes you. Why is Amazon a Billion Dollar company? Two day delivery…free with your Prime membership. And it’s always there, in time, on time, every time. You trust amazon. Speed isn’t everything…but it’s almost everything. Getting it done right, quickly and being on time and in time. Are they predictably on time? Do they get projects done in time? If not you might be trusting the wrong person. Being late doesn’t mean someone can’t be trusted. Absolutely not. But it means the person is definitely not dependable and that is the central component of trust. Begin today and never stop being on time, in time and move quickly.